It's just about starting to feel like summer, so I'm breaking out all my tees and shorts. A thrifted outfit for today! 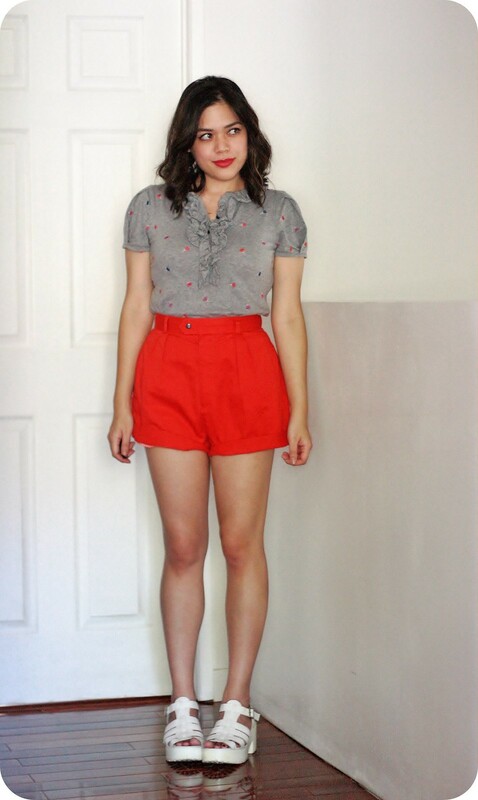 The heather gray top is by Marc by Marc Jacobs, which was an awesome find. 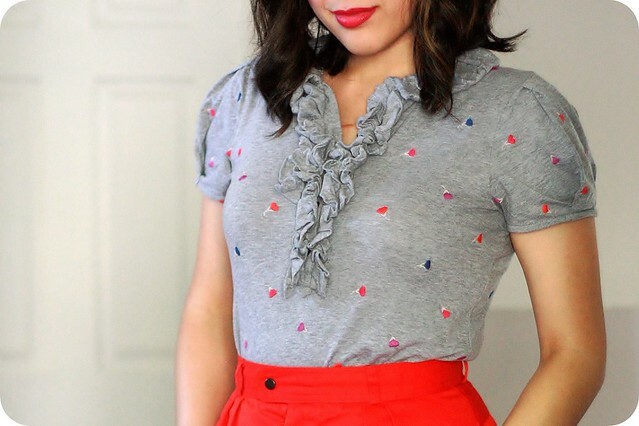 It has tiny little embroidered flowers and a ruffle around the collar. 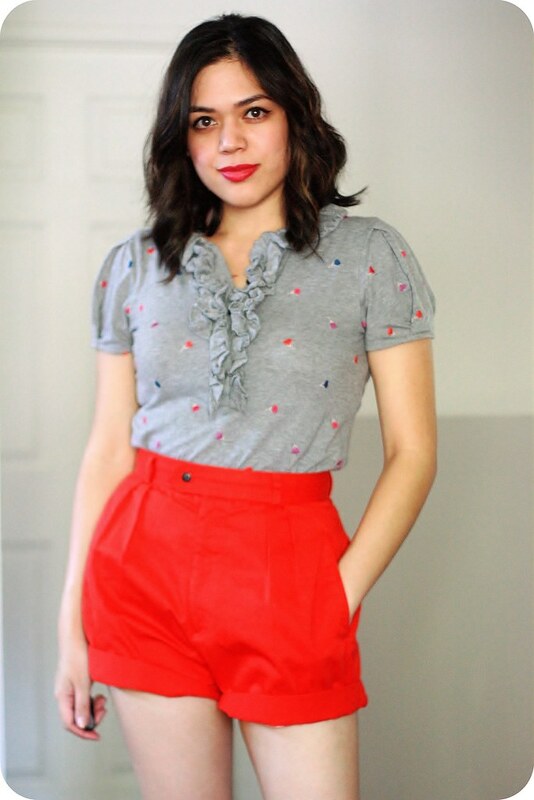 I like its quirky, feminine take on the classic polo. 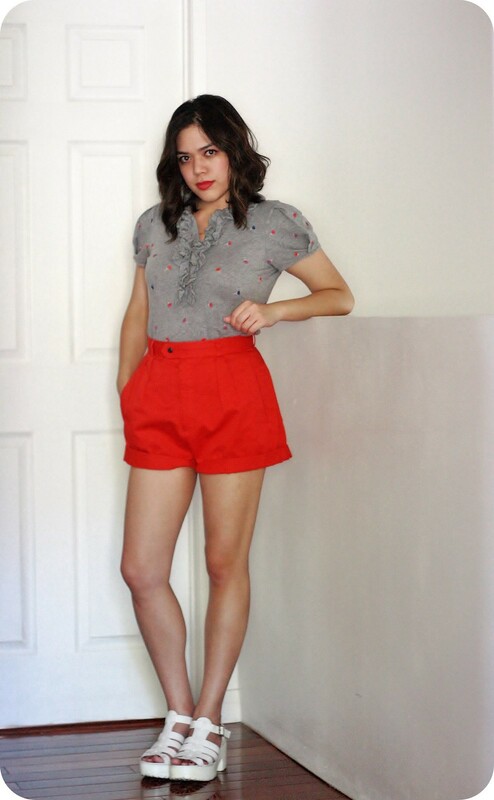 The bright red high-waisted shorts are vintage (from the 80's). I cuffed them at the bottom to make them a little shorter. Also: I tried that Pinterest thing where you wrap your hair around a headband for beach waves and it totally worked. I mean, the back of my head looks kinda weird, but the rest of it turned out pretty awesome. Good. Because I'm crap with a curling iron and admittedly a little lazy when it comes to styling my hair. Low maintenance is always ideal.